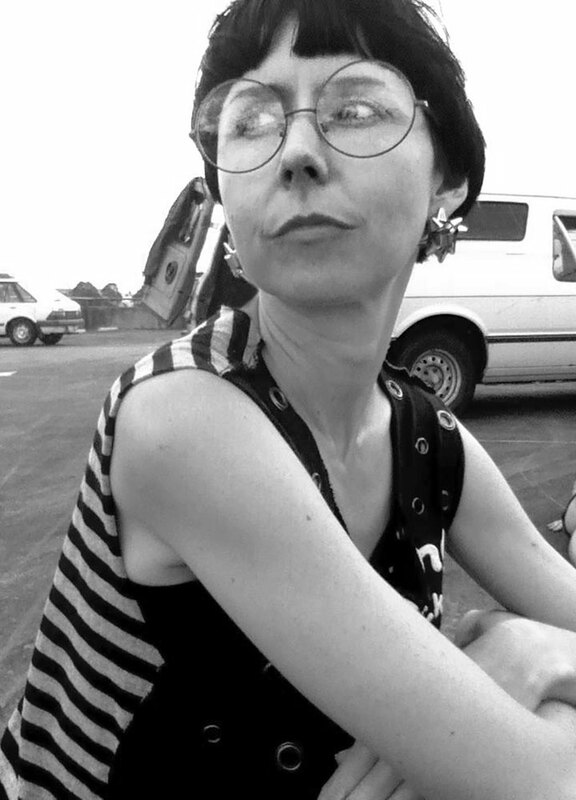 Elena Knox is a performing and media artist working across text, sound and image. Her works propose and disrupt embodiments of gender, interrogating how women are performed and perform themselves in the varied media and contexts of our age. Knox’s video, performance and creative writing have been presented at sites such as Athens Video Art Festival, Façade Videofestival Bulgaria, Akademie der Künste Berlin, Sydney Opera House, Australian Centre for the Moving Image, St Kilda Film Festival, Sydney Underground Film Festival, Sydney and Melbourne Writersʼ Festivals, Women and Theater Program (USA), Centre for Performance Research (UK), Australian Poetry Festival, and Art Currents (USA). As an actor Knox has appeared for La Pocha Nostra (Mexico/USA) and in Jane Campionʼs Holy Smoke. She has written and performed three solo experimental electro-cabarets. In 2012, her Green Room Award-nominated electro-cabaret Bild-Lilli played a 3-week season at The Malthouse, Melbourne. Knox gained her PhD Media Arts from UNSW Art & Design, researching performativity in gynoid robots and presenting her findings in the solo show of video art Beyond Beyond the Valley of the Dolls at UNSW Galleries in January 2015. She teaches Memory & Self and The Mind Lab at UNSW Art & Design, performs in electronic pop duo Actual Russian Brides, and co-directs production house Lull Studios.